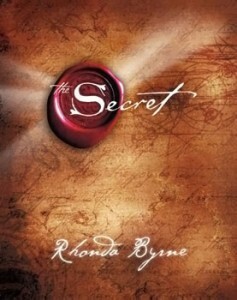 The best selling book The Secret written by Rhonda Byme explores the idea that the universe is governed by a natural law called the law of attraction. The law of attraction works by attracting into your life the experiences, events, situations and people that match the frequency of your thoughts and feelings. The theory asserts that if you focus on positive thinking, then positive things will begin to happen in your life. Positive thinking can help you have increased wealth, health, love and happiness. The law of attraction is a natural law that completes the order of the universe and the order of our personal lives. Positive thinkers will attract positive thinkers, if you believe that like attracts like. If we feel positively, that frequency is sent out into the universe and attracts back to us events and circumstances that are equally positive. The basic tenet is that if you think positively, positive things will happen. If you think negatively, negative things will happen. Positive thinking can improve your life and to some extent, your luck. If you think positive, your thoughts are like a magnetic power emitting a positive vibe. That frequency sent out to the universe will return to you in both physical and experiential forms. Of course, you can’t expect to take it to the extreme. You wouldn’t take my life savings and think red and put it on a roulette wheel to land on red, for example. Critics warn that positive thinking is no guarantee of a self fulfilling prophecy. It’s more about visualizing good things happening and having the right attitude about it. You can’t force something to happen nor should you gamble on it. The way to think about it is that you ask, believe, receive. If you want to apply the law of attraction to finding true love then you need to do the following. Know what you want in your love life and in your ideal man, and ask the universe for it. Then, feel and behave as if the object of your desire (in this case the man of your dreams) is on his way. Finally, be open to receiving him. If you believe that the universe is at your beck and call and that it is a friendly force that is working with you not against you, then true love should find you as long as you are receptive to receiving it. Some denounce positive thinking as a phony pseudoscience. They would argue that it does not take into account the inherent problems in human nature, evil, or conflicts in the law of attraction that would arise when two people want to attract the same exact thing. Others embrace the concept of positive thinking and apply it to their lives with success. Positive thinking certainly has it’s place and can help realign your attitude. Every one knows that pleasant positive people can achieve success with their friends, in the work place, and when it comes to forging relationships. A good attitude and some positive thinking can’t hurt. Just don’t gamble your retirement on it. Posted on November 4, 2011 by admin. This entry was posted in True Love. Bookmark the permalink.